Samuel Jones Hall at South Jersey Technology Park (above)– Home of many of the ECE research labs. 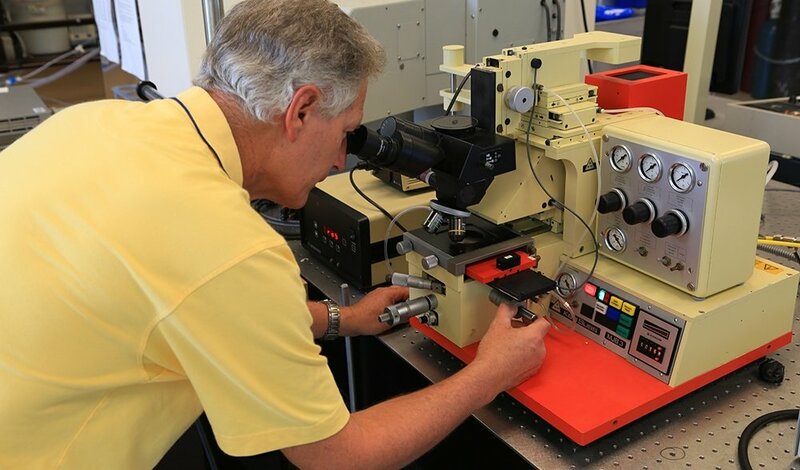 In addition to state-of-the-art teaching labs, the ECE department also maintains cutting-edge research labs. The best news, all of these labs are available to all undergraduate and graduate students through their clinic projects, course work or other research activities. 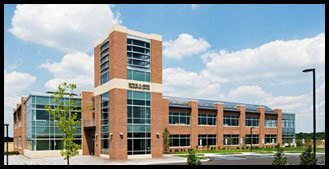 Our research facilities are located in Rowan Hall on our main campus (soon to move to the new Engineering Building) and at the South Jersey Technology Park. You can learn more about each lab under the Research tab on the navigation bar on the left or the links below. In addition to ECE labs listed here, the College of Engineering also provides a wide array of laboratories and facilities available to all students. All engineering programs at Rowan promote and enable multidisciplinary and cross-disciplinary studies. This is enabled not only by the college-wide Engineering Clinic sequence, but also facilities that are available to all engineering students. These facilities include a well-equipped machine shop with CNC equipment, welding shop, woodshop and other labs that provide manufacturing and fabrication capabilities. Will computers ever be able to make intelligent decisions based on the currently available information and previously acquired experience and knowledge? We are far from it, but progress is being made. The Rowan Virtual Reality Lab in the South Jersey Technology Park features a room-sized CAVE®, virtual reality (VR) environment. Inside a group of users wear stereo glasses to visualize, navigate and interact with a 3-D virtual environment that is created using a combination of digital light processing projectors, an infra-red position tracking system, data gloves and associated computer hardware and software. It is one of the core fields of electrical engineering deals with developing algorithmic and mathematical techniques for intelligent processing of signal and images so that more relevant and reliable information can be extracted from them. Several application areas are researched at Rowan ECE. DES is a rapidly growing engineering field as a result of computer revolution. DES are typically processes associated with the systems which are discrete (in time and space), asynchronous (event-driven rather than clock driven), and nondeterministic. Advances in Complex Systems Journal defines a complex system as “a system comprised of a (usually large) number of (usually strongly) interacting entities, processes, or agents, the understanding of which requires the development, or the use of, new scientific tools, nonlinear models, out-of equilibrium descriptions and computer simulations. The biomedical field requires the use of electronic devices that are small enough to fit inside a human body. The study of memristors is opening new avenues for both nano electronics as well as space travel. Researching how to improve energy efficiency while also investigating the use of wind and solar energy to power our future electrical grid should make our society more sustainable and better equipped for the future. ToughTalk is a weekly seminar, given by graduate or undergraduate students, as well as faculty and distinguished guests on their active reseach projects. Dr. Shin is studying emerging technologies that deal with electronics on a very small level, allowing them to be placed inside the body for biomedical purposes. This requires the development of energy-efficient circuits and systems.